Collect data from the WebCam recording into MOV,MP4,and FLV video for Mac OS X. ...... share with your friends. DawnArk Mac WebCam Recorder has a very good recording results, highly efficient and stable recording process, and with the perfect voice recording, WebCam Recorder can quickly enhance the value of your camera. 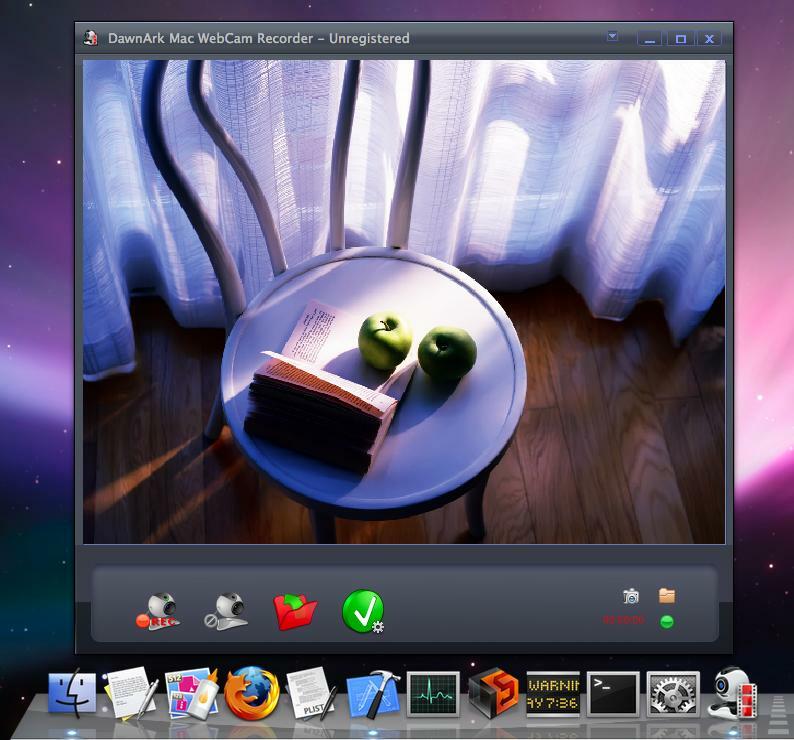 DawnArk Mac WebCam Recorderis easy to use, and even suitable for the elderly and children. They can use it to record good memories about them. For the stable reason,you can use DawnArk Mac WebCam Recorder as a camera monitor to record what happend during you out of the home. DawnArk Mac WebCam Recorder now can support Leopard.And, the Windows XP and Vista supported version named DawnArk WebCam Recorder can also be found in www.qweas.com ... Make the life much more fun,and start with DawnArk Mac WebCam Recorder. Qweas is providing links to DawnArk Mac WebCam Recorder 4.1.13 as a courtesy, and makes no representations regarding DawnArk Mac WebCam Recorder or any other applications or any information related thereto. Any questions, complaints or claims regarding this application DawnArk Mac WebCam Recorder 4.1.13 must be directed to the appropriate software vendor. You may click the publisher link of DawnArk Mac WebCam Recorder on the top of this page to get more details about the vendor.